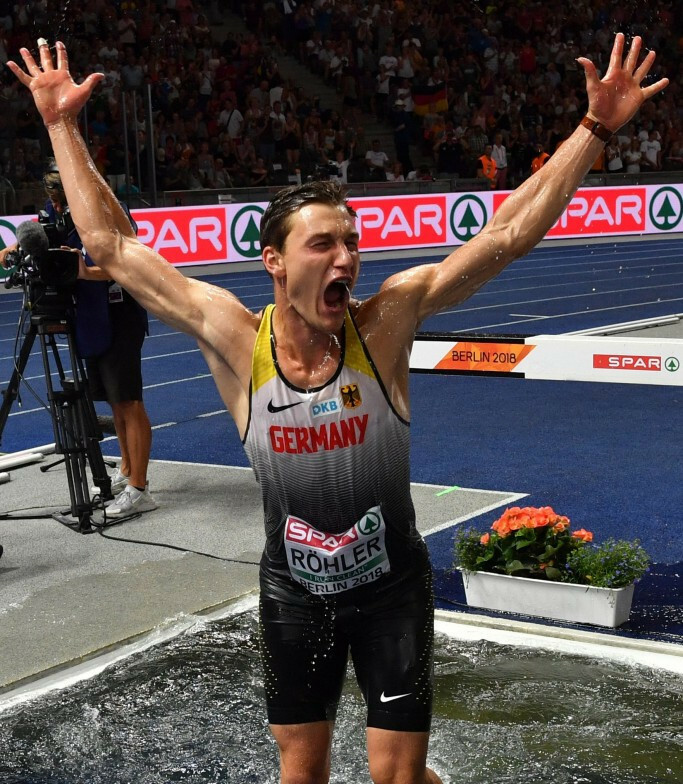 Germany’s Olympic javelin champion Thomas Röhler came good again when it most mattered here to win the European Championships title with a fourth-round best effort of 89.47 metres to win a hugely anticipated domestic battle. Röhler, whose star has been slightly dimmed in the last year by compatriots Johannes Vetter, who who last year’s world title, and Andreas Hofmann, who joined the 92 metres-plus club this season, restored his place in the German - that is to say, world - pecking order. Hofmann took silver with 87.60m and bronze went to the Estonian who threatened to upset the home party, Magnus Kirt, with 85.96m. 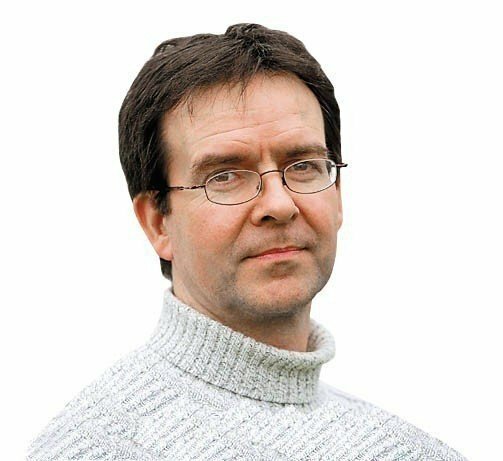 The odds were always good that this event would provide Germany with a second gold to celebrate on home turf - and now Röhler, once again, has delivered. Vetter never looked comfortable witth the conditions of fluctuating wind and rain, and finished fifth with a best of 83.27m. "Javelin is so popular here in Germany," Röhler said. "The atmosphere was amazing, the audience was behind every throw." If the final itself failed to provide too much sturm and drang, there was weather to make up for it soon after as a massive thunderstorm arrived. Germany had hopes of further gold in the night’s concluding women’s 100 metres hurdles, but had to settle for silver and bronze as Elvira Herman of Belarus won in 12.67sec. So a Herman, rather than a German gold, World bronze medallist Pamela Dutkiewicz flew the home banner by taking silver in 12.72, and compatriot Cindy Roleder claimed bronze in 12.77. Norway’s world 400m hurdles champion Karsten Warholm added a European title in his main event in a personal best, and European under-23 record of 47.64. He was given a run for his money by Turkey’s adopted Cuban Yasmani Copello, who briefly drew level with him at the start of the finishing straight before settling for the silver medal in a national record of 47.81, with Ireland’s Thomas Barr taking bronze in a season’s best of 48.31. Now Warholm will turn his attention to the 400 metres - although it looks as if he would have to go some to beat Britain’s impressively in-form Matthew Hudson-Smith. Greece’s world, Olympic and European pole vault champion Katerina Stefanidi defended the latter title with a consummate display of nerve, producing a winning clearance of 4.85m at her third attempt. Her compatriot Nikoleta Kiriakopoulou took silver with 4.80m, and Britain’s Holly Bradshaw collected bronze with 4.75m. Stefanidi had gambled on staying out of the competition until the bar was raised to 4.65m before coming in. Even Authorised Neutral Athlete Anzhelika Sidorova, who heads this season’s world list with 4.85m, had joined the party at 4.55m, clearing it first time. Stefanidi’s judgement proved correct as she cleared 4.65m at the first attempt before passing at 4.70m. Sidorova cleared 4.70m - but only at her third attempt, and she would go no higher. Kiriakopoulou - with only one previous failure - cleared 4.70m at her first attempt, putting the pressure back on her more illustrious compatriot. Stefanidi’s face showed the tension as she composed herself - as she approached the bar at 4.75m, but cleared it to move into the gold position by virtue of her thus far perfect record. With Bradshaw unable to progress, it was down to the Greeks to decide gold. Both cleared 4.80m, although it took Kiriakopoulou two efforts, before the defending champion prevailed at the next height up. "I came here with a completely different mentality, as I had never to defend a title before, so it was very stressful," said Stefanidi. "Especially when there are so many girls in good shape, and look what happened to Anzhelika. "That wasn't expected at all, so I'm very happy to be here and to have achieved another title." Turkey’s world 200m champion Ramil Guliyev won the first gold medal for his adopted country - he was born in Azerbaijan - at the multi-event European Championships as he won in a Championship record of 19.76, second on the all-time European list behind what was then the world record of 19.72 set by the late Pietro Mennea at Mexico City in 1979. Britain’s world 4x100m relay gold medallist of last year, Nethaneel Mitchell-Blake, took silver in 20.04, with bronze going to Switzerland’s Alex Wilson in 20.04. France’s maverick Mahiedine Mekhissi-Benabbad won his fourth European 3,000m steeplechase title, and fifth European gold, finishing well clear in 8min 31.66sec. He had time to make a lot of expressive arm gestures in the closing 50 metres, but thankfully avoided stripping off his shirt, an action which - harshly - annulled his victory at this event in the 2014 Championships in Zurich. Fernando Carro of Spain took the silver medal in 8:34.16, with bronze going to Italy’s Yohannes Chiappinelli in 8:35.81.